I was first introduced to WonderFil’s rayon threads and their many other lines of great threads way back in 2005. I opened my own sewing store in Calgary, Alberta and as WonderFil is a local company, it was an easy choice to support them and carry their threads in my store. WonderFil Specialty Threads have done a great job of meeting the needs of sewers by providing the threads in spool sizes to meet our needs. The rayon threads have long been my favorite to stitch and quilt with. I know I can choose the size of spool to meet my needs. WonderFil has also made these threads affordable with very reasonable pricing. It’s easy to build your stash and have the right color at your fingertips! 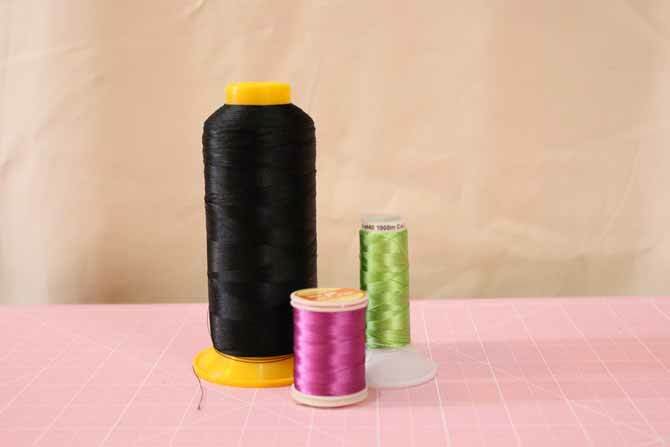 WonderFil’s rayon threads are available in a number of different weights. I’m going to focus on the three finer weights in this week’s blog posts. One thing to remember; as the thread weight number gets smaller, the thread gets thicker. Splendor is the 40wt rayon embroidery thread. The finest of the 3 we’re going to focus on this week. This thread gives a lovely sheen to any project. It’s available in 164yd [150m] spools as well as 1094yd [1000m] and 5000yd [4572m] cones. With 342 solid colors and 31 variegated colors available, you’re sure to find the perfect match for any project. 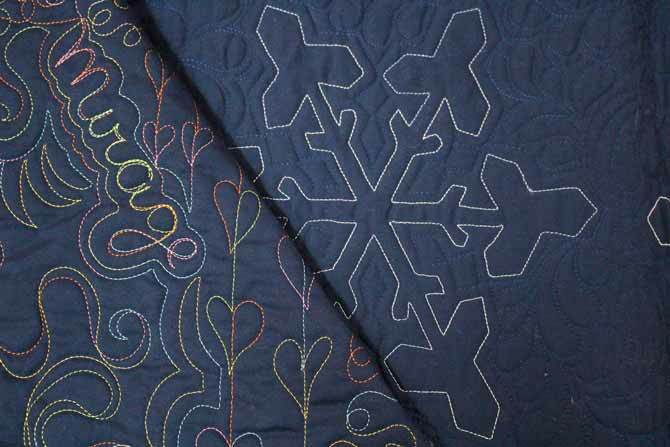 Splendor is great for decorative stitching, machine embroidery and thread painting. For more information on how to use this thread, check out WonderFil’s Hints and Tips page. 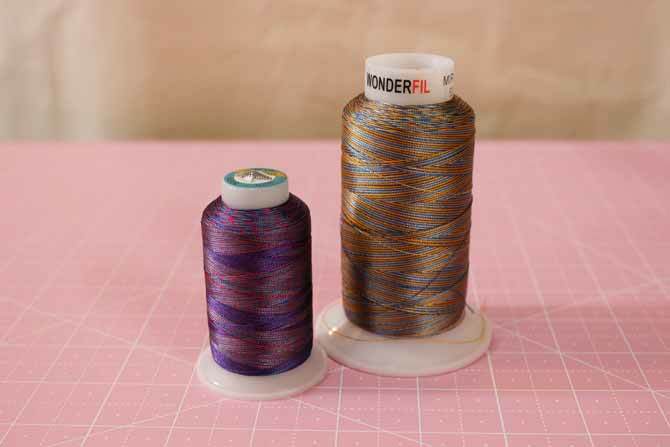 WonderFil has created over 25 thread packs containing 10 spools of coordinating Splendor threads. Mirage is the 30wt rayon thread. It’s a little bit thicker than Splendor and all 40 colors are random dyed variegated threads. Random dying means that each of the colors in the thread will be different lengths. They’re available in 875yd spools and 3000yd cones. 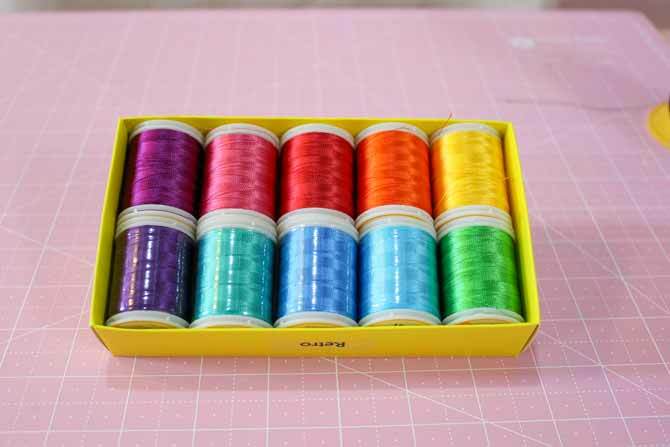 These threads are wonderful for use in embroidery, quilting, thread painting and embellishments. For more information on how to use Mirage thread, check the Hints and Tips page. Accent is a 12wt rayon thread and is the thickest thread that we’re looking at today. There are 40 solid and 20 variegated colors available on 437yd spools. Although Accent is only available in a single spool size, there’s still a lot of thread on that spool – enough to last you for quite some time! Any stitching with Accent shows up really well! 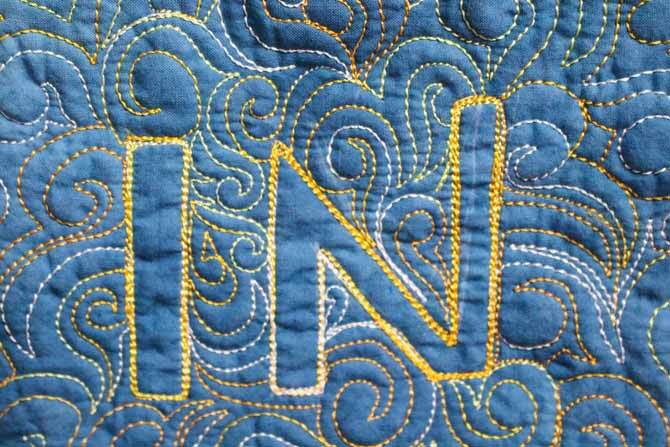 The thread is quite thick but can still be used in the machine as well as for hand stitching and embellishments. For more information on using Accent, check out it’s Hints and Tips page. 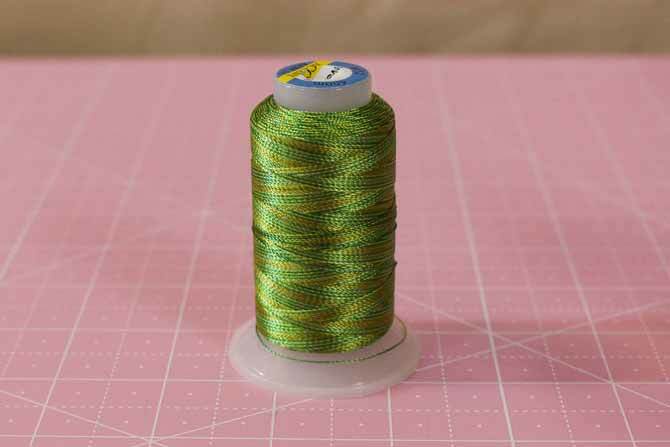 I love to use Splendor thread for satin stitch or button hole applique stitches. The smooth reflective thread gives a lovely sheen to any project. I do a lot of machine quilting with Mirage because I love the shine and the gradual color changes of the variegation of the thread. Some of the color changes are subtle and some are very vibrant. When I really want the stitching to show I use Accent! 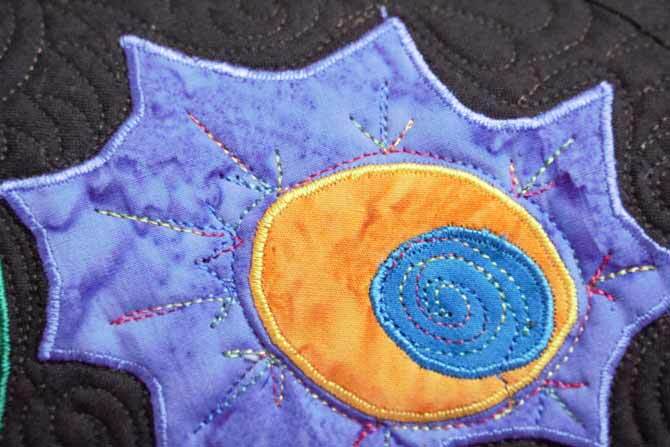 I use it with my machine’s decorative stitches and I also free motion quilt with Accent for spectacular effects! I’m going to spend this week showing you lots of ways you can use WonderFil’s rayon threads in your quilted projects! Make sure to come back tomorrow to see how great these threads are for thread painting.